Jefferson Middle School will host its annual Career Day this Friday, March 31, encouraging middle school students to visualize their future through a series of career-centered presentations. The event will connect middle school students with a wide array of professionals, including representatives from Netflix and the FBI, as well as engineers, lawyers, graphic designers, reporters, law enforcement officers, makeup artists, chefs, social workers and doctors. Dressed in their best professional attire, Jefferson students will attend four of 40 presentations offered and learn about career paths related to their interests. Students will engage in lively discussion with the speakers in each 40-minute presentation, and will end the day with a schoolwide discussion to recap what they learned. Jefferson Middle School is at 1372 E. Las Tunas Drive, San Gabriel. 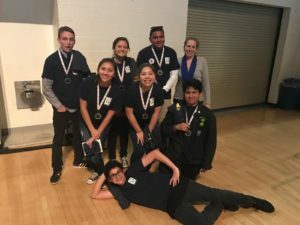 Del Mar High School continuation students Christina Calderon, Michelle Vega, Sergio Landeros, Jio Blanco, Ciara Robledo and Kenneth French will represent San Gabriel Unified at National History Day-California on Saturday, May 6 and Sunday, May 7 at William Jessup University in Rocklin. The contest challenges students to examine history through extensive original research and creatively express their findings before a panel of historians and educators. 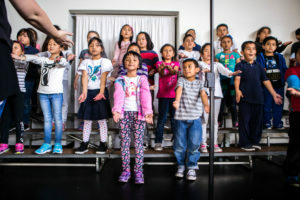 Roosevelt Elementary School students are sharpening their focus and gaining confidence thanks to the school’s new Music Immersion Experience (MIE), which enhances student achievement through comprehensive music and performing arts lessons. The program, which launched schoolwide earlier this year, is provided for free to Roosevelt students by the San Gabriel Unified School District. 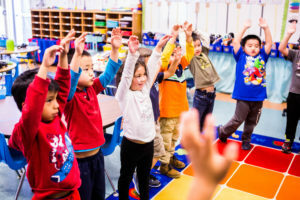 MIE extends the school day to accommodate a fundamental music lesson period for all students and an extended music instruction period for second- through fifth-graders. 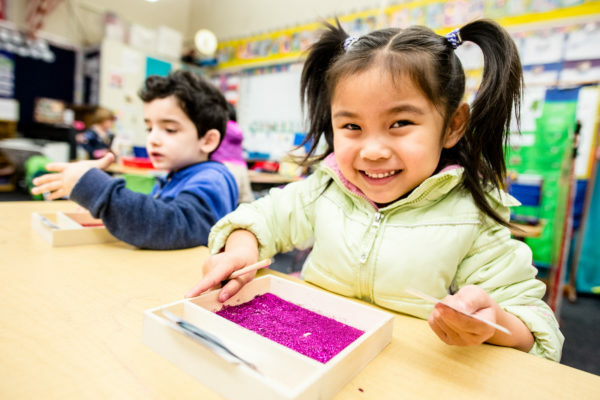 Parents may begin enrolling children in San Gabriel Unified’s kindergarten and transitional kindergarten (TK) programs. The programs provide robust opportunities for early learning and preparation for the social and academic rigor of elementary school. 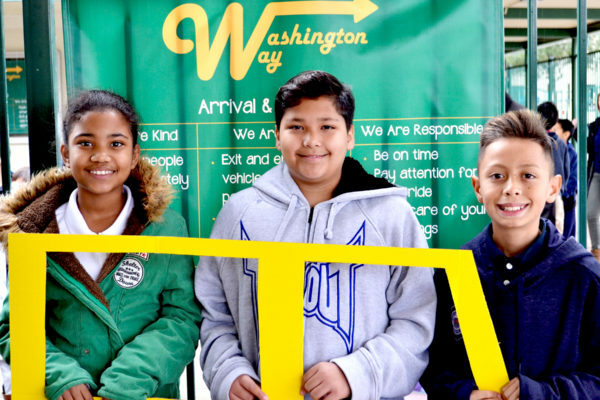 Offerings include 1:1 technology resources, music immersion and dual-language immersion. Children must turn 5 by Sept. 1 to register for kindergarten. TK students must turn 5 between Sept. 2 and Dec. 2. Parents can enroll their children by visiting their local school or by visiting www.sgusd.net. Coolidge Elementary School will host its annual Coolidge Carnival from 10 a.m. to 3 p.m. Saturday, March 25. The community event will feature a series of activities for families of all ages, including home-cooked meals and baked goods for sale, karaoke, carnival game booths, a cake walk, a silent auction and more. The silent auction prizes will feature donated time from Coolidge teachers to put on after-school activities, such as nature hikes. Proceeds from the PTA-sponsored carnival will be dedicated to funding Coolidge programs. Coolidge Elementary is at 421 N. Mission Drive, San Gabriel. 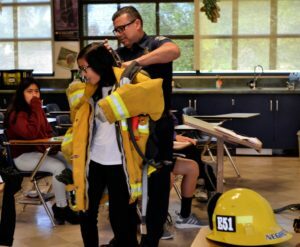 Follow-up Story: Doctors, chefs, scientists, filmmakers and industry professionals from organizations such as Netflix and the FBI shared stories about their careers with students during four 40-minute workshops as part of San Gabriel Unified’s Jefferson Middle School annual career day on March 31. Fourth-graders at San Gabriel Unified's Roosevelt Elementary School will star in the school’s first musical production at 1:30 p.m. Thursday, March 23 as part of the school’s one-of-a-kind Music Immersion Experience (MIE) program, which launched at the start of the 2016-17 school year. Titled “Gold Dust or Bust,” the 30-minute musical is based on the 1848-1855 California Gold Rush and will feature live band accompaniment from MIE teachers, all of whom are professional musicians. Students also created their own costumes, props and backdrops. Roosevelt Elementary School Cafeteria is at 401 S. Walnut Grove Ave., San Gabriel. 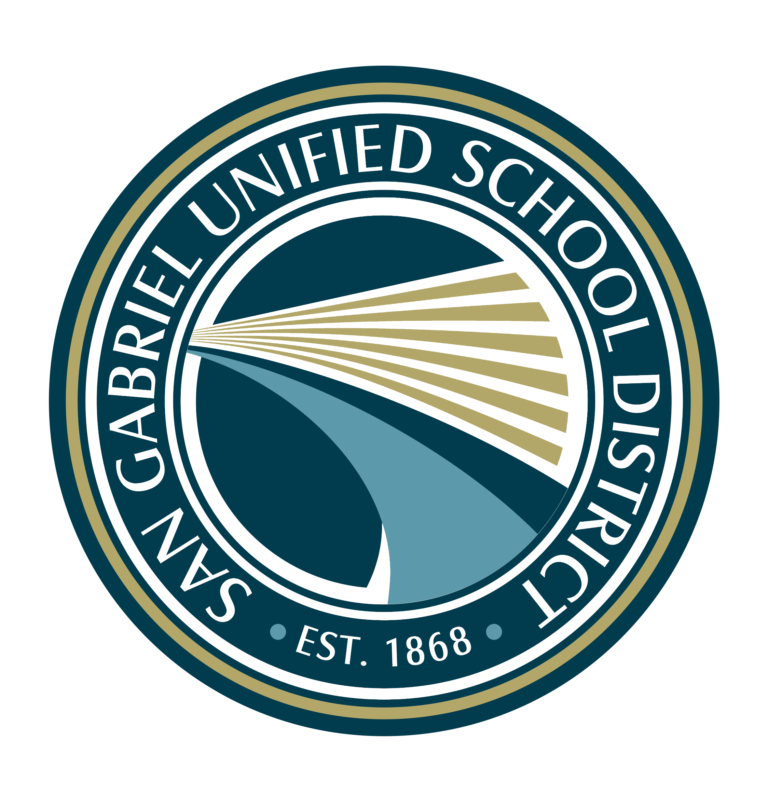 Dedicated to increasing community involvement and expanding its communication efforts, San Gabriel Unified has launched its official Facebook page, which will feature up-to-date news about innovative programs and school activities. The District aims to keep parents, staff, students, community members and the broader public informed of its latest news and accomplishments. The page is at www.facebook.com/SanGabrielUSD. Coolidge Elementary School fifth-grader Ryan Yan will represent San Gabriel Unified at the Los Angeles County Elementary Spelling Bee on Wednesday, March 29. 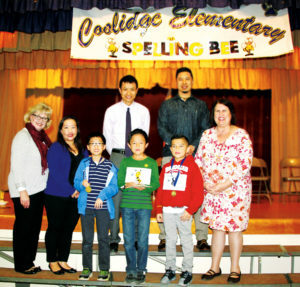 Yan secured his spot in the county contest after besting classmates in the 10th annual Coolidge Spelling Bee on Feb. 24. Yan triumphed over his peers in the school competition after 13 fierce rounds by correctly spelling the word “inadvertently.” After placing second in last year’s county spelling bee, Yan advanced to the California State Elementary Spelling Bee, a feat he hopes to achieve again this year. 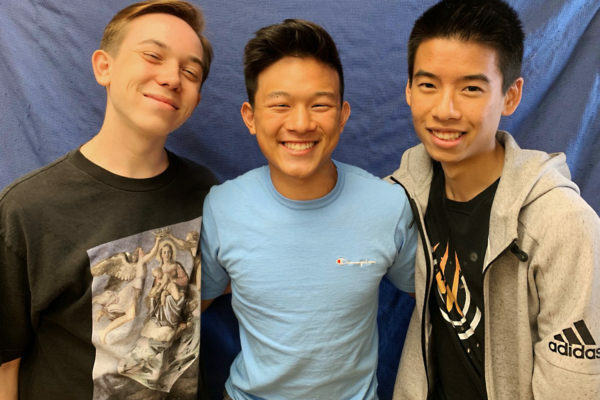 Del Mar High School students will put their research skills to the test at the 2019 History Day L.A. competition from 8 a.m. to 5:30 p.m. Saturday, March 9 at San Gabriel High School, 801 S. Ramona St., San Gabriel. History Day L.A. challenges students to examine history through extensive original research and creatively express their findings before a panel of historians and educators. Del Mar High, a 2018 Model Continuation School, is the only continuation school that competes in History Day L.A. each year.